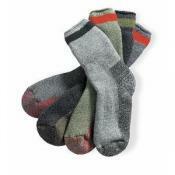 Wigwam boot socks combine natural and synthetic fibers to keep feet dry, warm and comfortable. 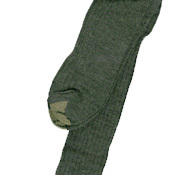 Wigwam provides the precise boot-to-sock fit and quality you demand at work or in the field for all day comfort. 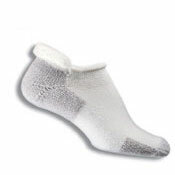 A heavyweight, fully cushioned boot sock with an olefin sole for durability and superior wicking ability. 48% Wool, 25% Acrylic, 17% Nylon, 10% Olefin. 1x1 terried mock rib top.